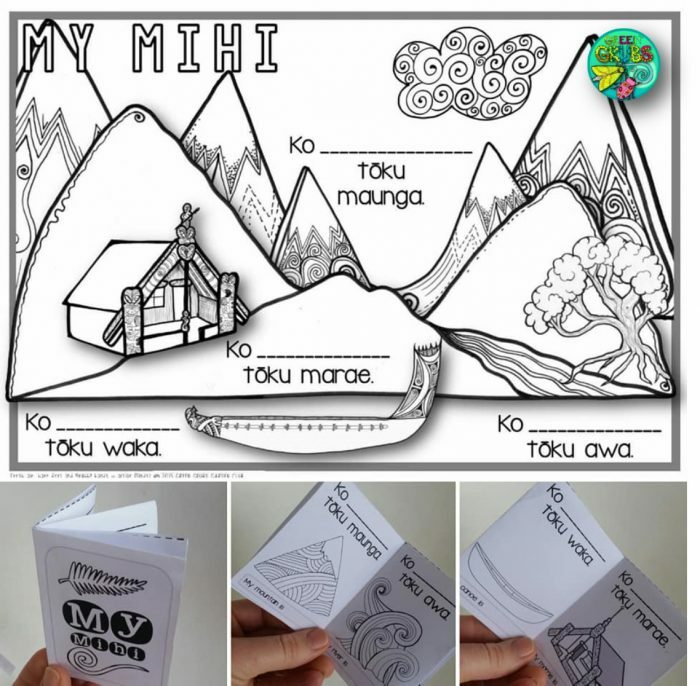 This little one cut ‘Mihi/Pepeha’ booklet and matching colouring sheet is a great scaffold to support your students with learning their mihi! The small size is perfect for holding discretely in your palm for quick reference during assembly or in class, and the pictures provide extra guidance for your little ones. Simply print, fill in and colour, then follow the picture instructions to cut, fold and assemble your little booklet. If you’d like more room for your students to explore their whakapapa, I suggest enlarging and printing your sheet on to A3 paper – this will provide more room for your children to add notes and extra illustrations as applicable. Also included is a themed colouring page to support your discussions about some of the items mentioned in the booklet. For a COLOUR version click here! *Please note – there a variety of different mihi formats included, so make sure you print the one that’s most suitable to your region. Your resources are amazing! thank you so much! I’m in my first year of teachers college!! Awww – welcome to teaching!